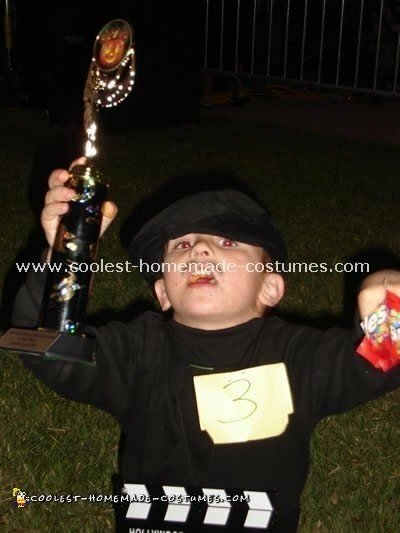 This costume was made from a black turtle neck, black jeans and a beanie style hat I picked up at a thrift store. I bought the take board at the local party shop. It was stored under decorations. All I had to buy was the board and a mega phone. He won first prize out of fifty kids and was warm all night. This costume isn’t a typical Halloween costume because it cannot trick or treat in the street as it is entirely black. Save this one for the contest and church functions.